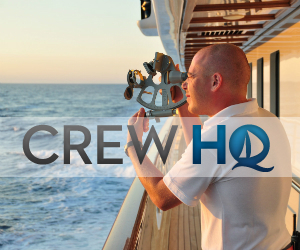 Crew Grapevine provides quality shore side accommodation to superyacht crew, those seeking that end and the occasional curious tourist. We have three large private townhouses in the centre of old Antibes. All properties are within 100m of the port and situated between the crew recruitment agencies and yachting schools. We have designed our accommodation to be completely flexible around Superyacht Industry crew and their specific needs. We provide hotel-like flexibility with home-like amenities, and infrastructure. Perfect for those who need more than just a bed, but don’t know how long they need to stay. We are also open to the general public during July and August, and students in the winter. Our focus is helping our crew, finding their feet, finding their next yacht, finding a quiet place to study, and finding support from like minded people sharing the experience. The owners (us, Capt. Jason and Chef Jennifer) have over 25 years of yacht industry experience combined, and an extensive network of industry contacts .